fromGatewayPundit: It is bad enough that doctor-patient confidentiality no longer exists, but now doctors are being actively co-opted into the police state. fromBabylonBee: One of the primary functions of the government is to ignorantly muck around in the business of others, but the shutdown has forced citizens to try to fill that void themselves. fromCNSNews: "Virtually all of its content is devoted to attacking President Donald Trump", said Brent Bozell of the Media Research Center, citing a recent example, in which 14 of CNN 15 headlines attacked Trump. fromReason: "Apparently the ad generated multiple phone calls from paranoid neighbors thinking I was using my child as a slave.". fromEricPetersAuto: The mainstream press prefers you not know how energy taxes in the name of preventing "climate change" are tearing France apart. fromSFGate: More and more Americans are opening up to the idea of legalizing marijuana and other illegal substances, and some scientists have recently concluded that psychedelics could have positive effects. fromMises: The Declaration of Independence enshrined the notion that government must possess “the consent of the governed.” Unfortunately, politicians often claim blank checks to define the meaning of citizens’ ballots. fromMoonofAlabama: Trump knows how to get and maintain attention. Each day he makes some outrageous claims that are red meat for his base, and give major media attention to his politics. fromDailySignal: The 14th Amendment doesn’t say that all persons born in the U.S. are citizens. It says that “[a]ll persons born or naturalized in the United States and subject to the jurisdiction thereof” are citizens. fromTheDailyBell: School is not about knowledge or intelligence. It is about obedience. 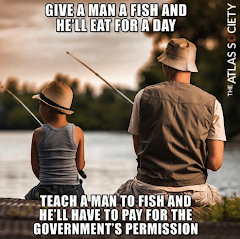 It trains youth to be obedient to authority figures and to seek their approval. fromWebMD: Government wrong again. The long-banned “club drug” MDMA showed strong results as a treatment against posttraumatic stress disorder in its largest and longest study to date, researchers reported Monday. fromReason: And the biggest liabilities don’t even appear on the official balance sheet. fromTheFreeThoughtProject: Because they wanted their daughter to speak to a therapist instead of undergoing hormone treatment to become transgender, a couple has had their parental rights taken away. fromTheMorningCall: The propaganda machine never sleeps. fromSHTFPlan: Anyone believing CNN has an agenda other than that of the anti-gun global elites is not paying attention. fromTheFreeThoughtProject: A cycle of CBP agents making incursions onto the ranch and Palacios telling them to leave continued for years—that is, until he found the camera, believed to be part of an effort to monitor the border. fromBreitbart: CNN’s Chris Cuomo, the anti-Trump pundit who hosts CNN’s failing morning show, spread fake news about a gun purchase and then melted down after he was called out for it. fromMRCNewsBusters: A level of shamelessness that knows no bounds. fromMintPressNews: Armed with a budget of over $700 billion for the coming year, the Pentagon’s dystopian vision for the future of the military is quickly becoming a question not of if but when. fromLibertyPen/YouTube: Professor Hansen shares a historical perspective as he relates the necessary factors for a successful immigration policy. fromAmericanGreatness: The number of jobs is unlimited, for the simple reason that human wants are unlimited — or they don't frequently reveal their bounds. fromMisesWire: When placed under the microscope, the modern vegan movement has shown signs of increased politicization and a tendency to mesh with socialist causes. fromCreators: There is something wrong with a system, a monopolistic system that is not allowing kids to succeed. fromTheFreeThoughtProject: A judge has ruled that the practice of state forensics labs receiving financial compensation for positive tests that lead to DUI convictions is unconstitutional. fromConsultingByRPM: A look back at CNN's now debunked contention that infamous Steele dossier was not fake nor funded by the Clinton campaign. fromMcClatchyDCBureau: Old Chinese Proverb: When I talk, I put on my mask. When I act, I take it off. fromZeroHedge: Investigative reporter Sharyl Attkisson said she has never seen journalists "so uncurious and begging" not to be told about alleged or supposed violations of citizens rights. fromLibertyPen/YouTube: Professor Friedman brilliantly explains monetary policy, what money really is, the Federal Reserve and the price system. fromZeroHedge: The only thing the bureaucratic resistance hates more than President Trump is the disclosure of their own salaries. fromReason: Where does the United States land on the 2017 Freedom Index? Not as high as you think..
fromBloomberg: It’s relatively cheap in Seattle, and L.A. and San Francisco are pretty competitive, but it’s an entirely different story on the East Coast, especially in the nation’s capital. fromLibertyPen/YouTube: From an interview with radio celebrity Art Bell, former presidential candidate Harry Browne argues to defund crime syndicates and empower citizens. fromCreators: We should not fall prey to people who criticize our efforts to combat illegal immigration and who pompously say, "We're a nation of immigrants!" The debate is not over immigration. The debate is over illegal immigration. fromFoxNews: Yes, CNN staffers have lost their minds. One year of Donald Trump’s America and he’s defeated them as thoroughly the New England Patriots beat, well, just about anybody. from Reason: Smaller government has the possibility to be more honest government. from DailyCaller: Joseph Goebbels: If you repeat a lie often enough, it becomes the truth. Goebbels would be proud to see his observation has become the mission statement at CNN. from WashingtonPost: Justice Sotomayor highlights a dangerous reality of our legal system. So long as there are vastly more laws on the books than the government can realistically hope to enforce, the rule of law will continue to be imperiled. from Reason: Getting a cosmetology license in Oregon requires 2,300 hours of classroom instruction, but getting a similar permit in New York requires a mere 1,000 hours of training. from TheHill: A slate of reports from multiple outlets have catapulted the once-anonymous intelligence agent into the political maelstrom over what Republicans say is a woeful double standard of political bias at the FBI. from Reason: Jury nullification has officials losing cases, changing policies, and fretting over the power of the people they abuse. from Reason: Wyoming's roadside waivers are a thin disguise for highway robbery. from ActivistPost: Feeding the hungry without paying politicians for the privilege. from DailyCaller: As a result of a challenge from New Jersey — home of gambling Mecca Atlantic City — the court could overturn the Professional and Amateur Sports Protection Act and allow sports betting in most states. from MassPrivatei: Welcome to Police State America, where one camera surveillance system is never enough. from DownTrend: In a related story, medicine show operators are calling to ban the term "snake oil salesman". from LibertyPen/YouTube: (1990) Excerpts from: A Firing Line Debate: Resolved: That Drugs Should Be Legalized. Also in the debate: Richard Dennis, Ira Glasser, Robert W. Sweet, Pat Schroeder, Charles B. Rangel, and, William von Raab. from Reason: The panel wants to make prescription analgesics even harder to obtain. from TheGatewayPundit: This is CNN. Compare the story to the video. from AllNewsPipeline: Pundits are asking about what is coming. we don't want good guys disarmed. from Creators: The beauty of market allocation of goods and services, compared with government fiat, is no one person needs to know all that's necessary to get apples to your supermarket. concerts and shopping malls are immune from violence? from Rutherford Institute: We are being ruled by a government of scoundrels, spies, thugs, thieves, gangsters, extortionists, bounty hunters, battle-ready warriors and cold-blooded killers who communicate using a language of force and oppression. from ShadowProof: How a robe-draped tyrant made cops warm and fuzzy for Apple's iTouch technology. from ZeroHedge: Politicians fights back against VISA push for merchants to stop taking cash. A cashless society is a slave society. What do you do in cashless society when the power goes out? from MassPrivatei: The future of privacy in big cities is bleak, cities are now getting paid to convert street lights into spying SmartNodes (cameras, microphones, speakers etc., all-in-one light pole). from Creators: Stossel finds Anderson Cooper's claims that Donald Trump's EPA director had conspired with the CEO of a mining company to "withdraw environmental restrictions so the company could dig "the largest open pit mine in the world in an extremely sensitive watershed in wild Alaska" has a big problem. from Gov'tSlaves: A credit union serving the marijuana industry has sued the Federal Reserve, asking a federal judge to enforce the 10th Circuit’s order to grant the credit union a master account despite its ties to pot. including their "handles" and even their search results. from American Spectator: 24/7 party politics disguised as news. people who think society needs more rules. how philosophy can also fix it. from Reason: Politicians demonstrate -- in direct opposition to voters -- that would rather sick people not get medicine than to lose the slightest bit of power. from the Washington Post: You would only have a right to assisted suicide if you owned yourself, for one is free to destroy any property they own. However, as state property, you have no such right. from Activist Post: This time they were caught adding words to a Syrian witness’ statement to forward their chosen narrative. from Naked Security: It couldn’t even tell the difference between a young woman and a balding man. from Activist Post: Students across the U.S. are making some very precise demands of school chefs and dining halls, including a churrascaria, a gelateria and a sushi bar. from ZeroHedge: The market has steadily gone up for quite a while now, even though the economy has performed rather poorly and the debt risen at a rapid rate. The increase was largely fueled by low interest rates and government spending, not the production of wealth. The Trump bump is also a move based on perception not reality. It all spells market bubble to me (jim).